The defense team for Leslie Allen Merritt Jr., the suspected Phoenix freeway shooter, certainly has their work cut out for them but it looks like they are already working hard to get their client off the serious crimes he is charged with. 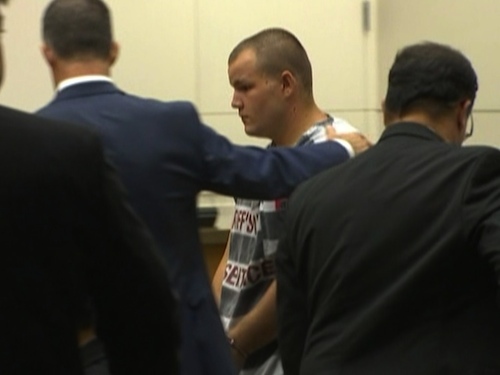 Not only are they setting out to prove that Merritt was not present during the August shootings he is accused of, but they are also alleging that the freeway shootings have continued since Merritt has been in custody. This week the attorneys, Jason Lamm and Ullises Ferragut, filed a motion for the State of Arizona to provide information on three recent shooting incidents on Phoenix-area freeways. The defense motion first requested the 911 calls, a copy of dispatch, radio traffic, field reports and photos taken at the scene of the most recent shooting incident allegedly occurring on November 11th at Westbound Loop 202 (Red Mountain Freeway)/32nd Street. While this incident was reported as a “shots fired” call which occurred at about 6:10 a.m., the DPS has since said that the driver had reported his back window shattered but did not see any other vehicles around when his window was damaged. According to DPS, troopers at the scene determined the damage was from road debris. 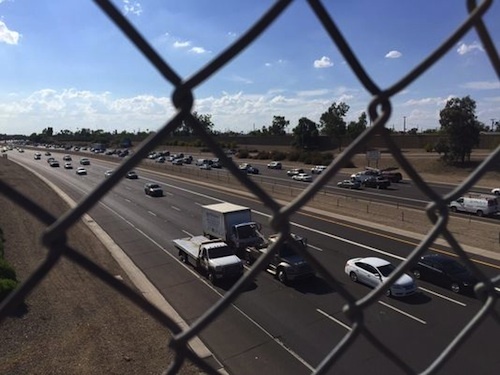 The defense is also asking for documents from the Tempe Police Department about another recent “shots fired” incident that occurred on Wednesday, November 4 at about 4:30 p.m. on Eastbound Loop 202 (Red Mountain Freeway)/Scottsdale Road. They are also asking for information about a third “shots fired” incident that happened on Wednesday, October 28 at 5:05 a.m. at the Interstate 10/Loop 303. But again DPS Spokesperson, Bart Graves, has said that the incident was investigated and based on the driver's interview and examination of the damage, it was also concluded as being caused by road debris. A hearing is also scheduled for November 16th where the defense plans to prove Merritt wasn’t responsible for the four August shooting incidents that he is charged with. Lamm says Merritt wasn't even in the area where the shootings occurred and will bring in witnesses and cell phone records to prove just that. In the meantime, Merritt is still being held in Maricopa County Jail on a $1 million cash bond and has been there since his arrest in late September. He faces up to 100 years in prison if convicted on his charges. Seems funny that 2 of the incidents happened in the same place and policecclaimed both times it was road debris. I guess Arizona needs to start picking up their road debris. Before road debris causes more road debris.